This is our raw chocolate cake recipe that blends the best of both worlds, taste satisfaction as well as nutritional quality. 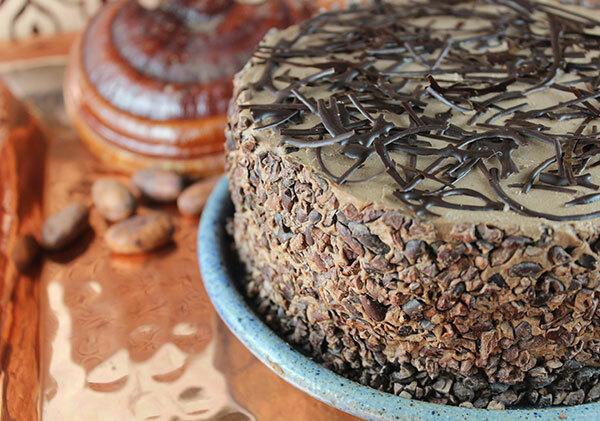 Made with freshly ground whole cacao beans for that extra special pure cacao flavor, this is a flourless cake recipe using walnuts, dates and coconut to create an cake-like consistency very similar to that of "ice cream cake." As an alternative to the average oven-baked desserts, many raw vegan versions, like cakes, pies and cheesecakes are commonly chilled slightly before serving to produce a firm, sliceable and/or buttery smooth texture. For the coconut-cream frosting we use a blend of fresh coconut meat, coconut oil, cacao butter and natural sweeteners to replicate the traditional buttercream frosting, but without all the dairy products or high glycemic sugars. As with many of our desserts we always try to incorporate different superfoods whenever possible and this cake is no exception. 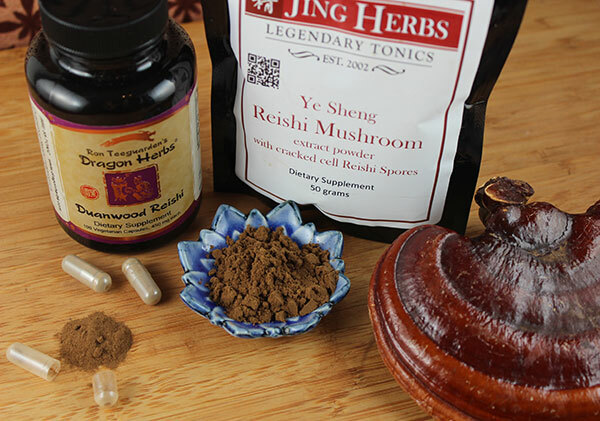 This recipe stars our absolute favorite medicinal mushroom variety and one of our mentioned top 10 superfoods, the reishi mushroom. Using straight powdered hot water reishi extract as well as a tea blend, decocting the whole mushroom powder, reishi works very well in cacao recipes and gives this one a slightly bitter dark chocolate and subtle caramel-like flavor that, we think you will agree, is absolutely delicious. Because one small piece of this cake is very filling and incredibly satisfying, we tend to make it in small portions but the ingredients can be easily doubled to create a medium-size cake if you happen to have many mouths to feed. So, depending on your needs or whether you are making it for a group or just one or two people, you might want to make necessary adjustments. 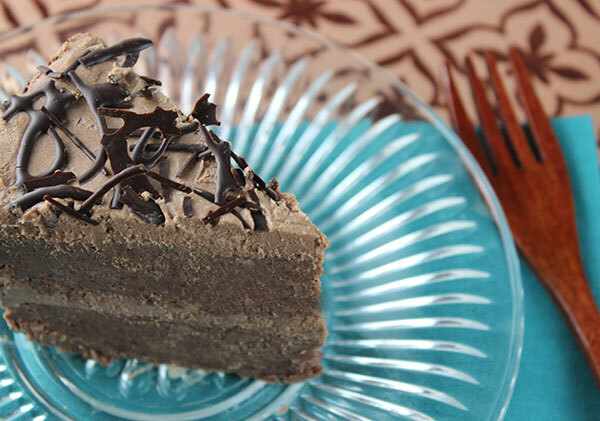 This raw chocolate cake recipe can be conveniently stored in the fridge, or even freezer to extend its shelf life and to provide an instant piece of chocolate cake whenever you get the craving. Generally, in the fridge it will last many days, usually up to a week. 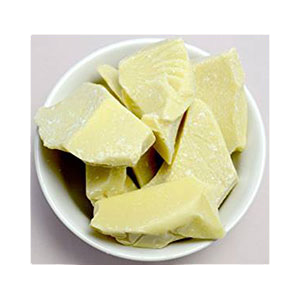 In the freezer, it can be stored in an airtight container for long term storage and will usually slice easily with a sharp knife due to the high fat content. We like to save this deluxe dessert recipe for special occasions, birthdays or family gatherings. Most people won't even know that is it completely raw and 100% vegan. This is a whole foods cake, using completely natural ingredients. The base of the recipe includes two of our favorites, walnuts and coconut, both of which provide a nice cake-like quality when blended with puréed dates and figs. Although this combination might sound a little strange at first, you'll be surprised at how delicious the end results. These fruits add sweetness as well as texture and blend well with the other natural sweeteners used, like raw honey, lucuma and a small amount of stevia. Of course, no chocolate cake recipe is complete without the use of fresh vanilla bean. Single vanilla beans or pods can usually be purchased at any health food store and are commonly found in the bulk herb section. Simply put, there is nothing like the flavor of freshly scraped vanilla seed paste and when blended with raw cacao, it is a truly amazing taste sensation. In addition, using freshly ground raw cacao beans, as opposed to nibs or powders, really adds a lot more flavor to this cake in our opinion. 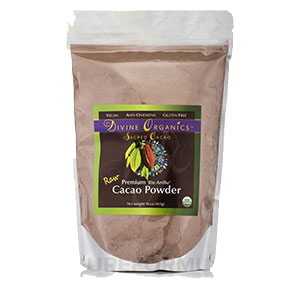 However, for the frosting cacao powder works best to provide a creamy smooth texture. 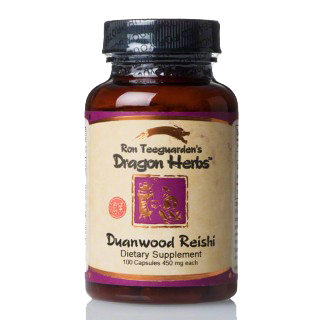 Reishi is a highly prized major tonic in Chinese herbalism, ranking close to ginseng for its broad spectrum of health benefits. 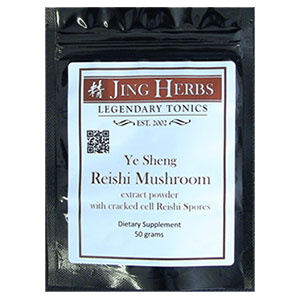 Referred to as "the mushroom of immortality", it has been valued as a Shen tonic adaptogen for well over 2,000 years. 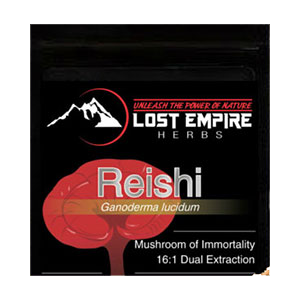 The energetic attributes of reishi, in Traditional Chinese Medicine, are believed to nourish and "open the heart" and it has been used throughout history by Taoist monks and spiritual seekers to build will power, inner awareness and encourage a meditative state of being. We like to incorporate concentrated tonic teas whenever possible and desserts are one of the easiest ways we have found to do this. Along with dried reishi power, we also decoct rhodiola root and pau d'arco bark, both of which make very pleasant tasting teas. Rhodiola is a natural herbal stimulant and overall energizing tonic, while pau d'arco adds cleansing elements. 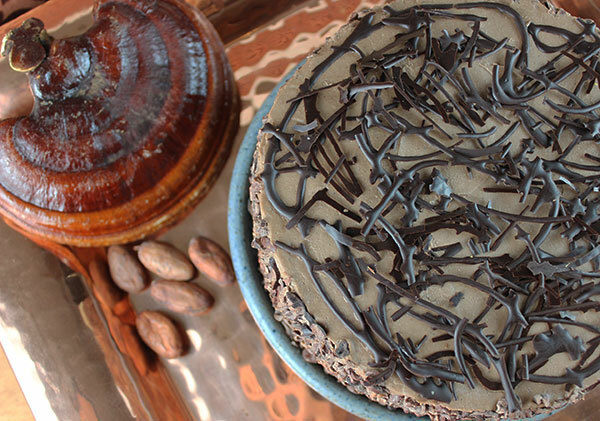 Two other famous superfoods added to our chocolate cake recipe include mucuna and maca root. 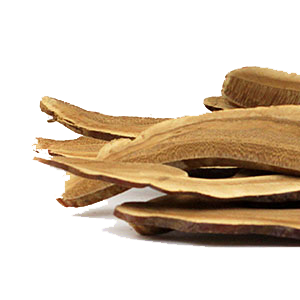 Mucuna is a popular Ayurvedic herb used for calming nerve related disorders and helps to balance the theobromine content found in cacao beans. Maca root is a Peruvian superfood known for its energy-instilling properties beneficial for increased strength and endurance for physical activity. This is a stacked double-layered cake with a frosting center about 6-7 inches (15-17cm) in diameter and is approximately 2 ½-3 inches (6-7cm) thick. As we mentioned, these measurements are for a small size chocolate cake recipe, for a medium size cake you will need to double the ingredient amounts. Decoct or simmer in a 1/2 quart of water. You will no doubt have some left over tea, but you can enjoy it straight with a piece of cake or use it for other dessert recipes. Soak the figs and dates in one cup reishi tonic tea overnight or at least several hours to soften. 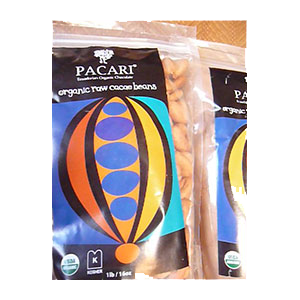 Powder whole cacao beans with or without skins in a high speed blender, like a Vitamix, Blendtec or NutriBullet. Grind the dry coconut in a blender to create a fine flour. Add to the mixing bowl. 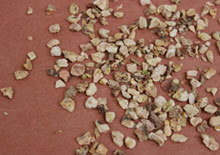 Grind the dry walnuts in blender until a flour or nut butter type consistency. Add to the mixing bowl. Blend the soaked figs and dates (with liquid) into a paste. Add to the mixing bowl. 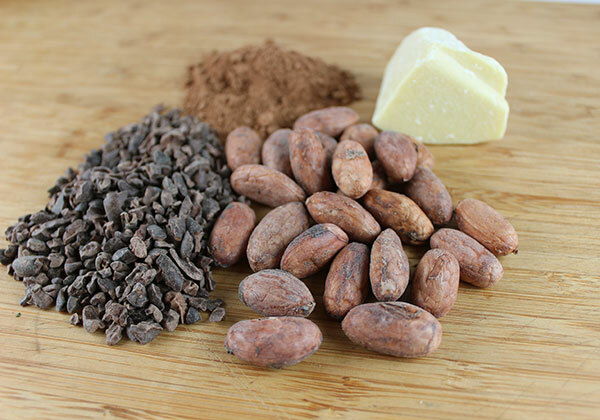 Melt cacao butter in a small dish inside a hot water bath or double broiler. In a food processor, add the mixing bowl ingredients along with the rest of the cake ingredients. 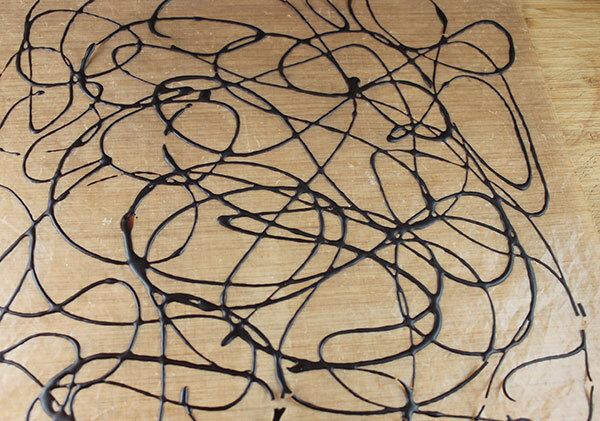 Process until a dough-like texture is created. Split the cake dough in half and mold in two separate layers, using either a spring-form pan or other cake mold form that measures 6" in diameter (or 12" in diameter if you double the recipe). Place your cake in the freezer to set for at least 1 hour. Soak the cashews for 20 minutes in enough coconut water to barely cover them. Blend until smooth and creamy in a high speed blender. Add more coconut water if necessary, but not too much because you want it as thick as possible. Refrigerate to thicken for 1 hour. Place frosting on middle section of cake, then the top section and sides of cake. Decorate the sides with cacao nibs and the top with raw chocolate pieces. Store it in the fridge and eat immediately after serving or store the cake in the freezer and take out 20 minutes before serving to soften slightly. To make the raw chocolate pieces, mix 2T melted cacao butter with 3T cacao powder and 1t white stevia powder. Place in a squeeze bottle or piping bag and squeeze out into squiggly shapes on a teflex dehydrator sheet and allow to chill before breaking apart for the cake topping. This is a great chocolate cake recipe to take to a potluck, community gathering or festive event. Remember... it is a small cake, compared to standard cake sizes, but that's because you don't need much to feel completely satisfied. 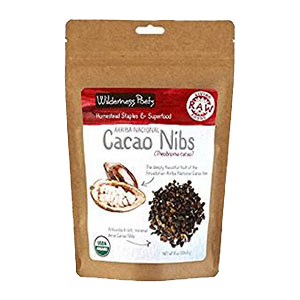 You can also substitute carob powder for cacao in this recipe for those that are sensitive to the sometimes stimulating effects of chocolate. 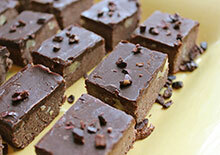 Visit our raw chocolate bar and raw chocolate milk pages for more recipes using cacao.